Myers Fork is a small creek about a mile north of Chicken that drains southeast into Chicken Creek. The creek flows through a high-angle-fault bounded, structurally down-dropped basin that preserves a wedge of Tertiary gabbro and sedimentary rocks. The structural basin is bounded to the south and east by the Taylor Mountain batholith of Triassic age and to the north and west by upper Paleozoic greenschist-facies metasedimentary and metavolcanic rocks. In the headwaters of Myers Fork, the upper Paleozoic metamorphic rocks are in high-angle fault contact with the Chicken pluton of Jurassic age to the north. Quaternary alluvium and colluvium deposits are extensive within the Myers Fork area and Chicken Creek valley. They largely consist of gravel and lesser silt and sand overlain by muck. Many Quaternary terrace gravel benches of possible glaciofluvial origin occur up to 600 feet above the creek. Along Myers Fork, at least four bedrock benches are recognized below the stream gravels. Near the lower part of Myers Fork, the alluvium is as much as 15 feet thick, and silt and muck over it is about 11 feet thick. Most of the gold on the east side of the creek occurs on top of a clay- and silt-rich layer and in fine gravels just below it, a few inches above bedrock. Very little gold is present within or on top of bedrock on the lower end of the creek. 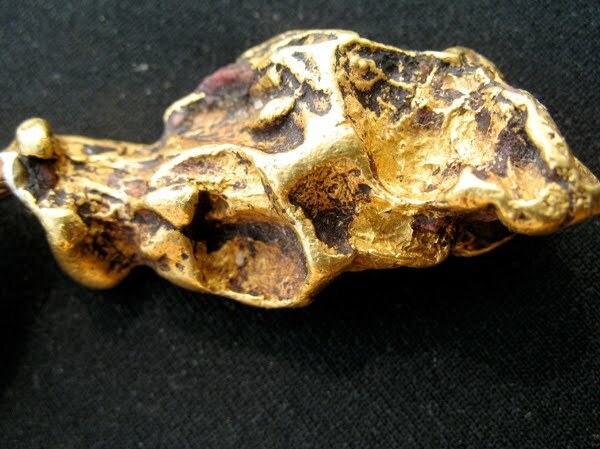 The gold is not extremely coarse, but there have been nuggets found that weigh over an ounce including at least one 3 oz nugget. Placer concentrates contain mostly magnetite and ilmenite, as well as minor garnet, barite, scheelite, and zircon. A potential source for placer gold in Myers Fork is the Purdy lode gold prospect, which is located on the ridge just north of the creek. Myers Fork has been mined by drifting, sluicing, bulldozer, and hydraulic methods. Placer gold was produced from the late 1890's to at least 1940, and intermittently in the 1970's. Production in 1904-1907 that included that from Myers Fork, Lost Chicken , Stonehouse Creek, and Ingle Creek totaled about 18,835 fine ounces. Small scale, recreational mining has produced several hundred ounces in the past few years. you can read on trial xtreme 3. Wow, I wish we had gold like that in Colorado Springs. Most of the gold prospecting here in Colorado is placer....very fine placer gold. Anyway if in Colorado Springs, stop by Sunny Mountain Prospectors for gold prospecting supplies.